Web hosting doesn't seem like one of the most important factors that a business owner needs to pay too much attention to because they don't believe that this could affect their business in any way. When you run a business it is important for you to understand that just like your website is essential because it's the face of your business, your hosting plan or your VPS server is equally essential because it's what exposes your business to the rest of the world. There are tons of different hosting providers like Bluehost, GoDaddy, NameCheap etc. that you will come across, however, understanding and determine whether or not the hosting provider that you are selecting is reliable or not is extremely essential. This is because if you end up selecting a hosting provider that is unreliable this will affect the overall performance of your business and there will be a lot of inconsistencies because of the unexpected downtime that the hosting company provides. While there's not a lot of difference between the pricing of various hosting companies, the major difference is between the services and when you end up selecting a hosting company that doesn't provide you with great services it will affect your business in more ways than you could even imagine. Whether you are a small business owner or whether you have a big company hosting is equally essential for everyone. These days there are a number of freelancers and individuals who look to open their own businesses online and the only way they are able to do this is when they have an effective website. When you choose a hosting plan or VPS server it is essential for you to double check the various services available so that you decide on a hosting provider that is extremely beneficial for your business. 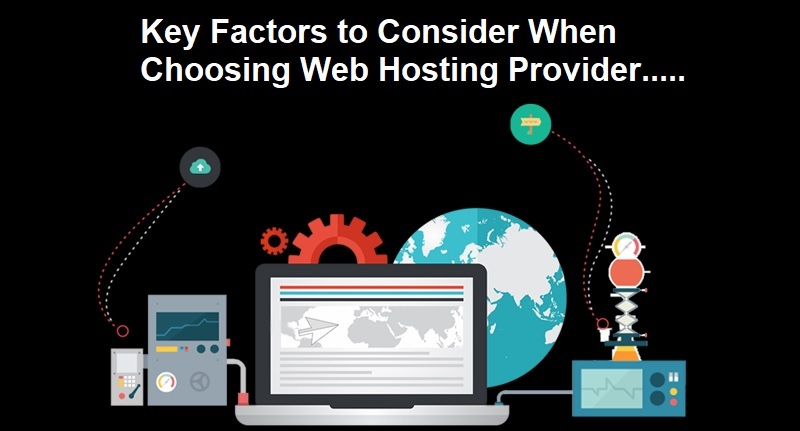 Here are some factors that you should always take into consideration before you settle down for any hosting provider. Unlike the earlier days where people had a dial-up internet connection and expected to wait for a really long time for a website to load these days, people use extremely fast internet connections and even the mobile data is really fast and this is why they expect a website to load at lightning speed. While a lot of business owners believe that it's important for them to keep the website as light as possible so that it loads fast the truth is that no matter how light your website is if your hosting provider isn't that great your website will take forever to load. When there are too many people on your website there is a strong chance that your website could even crash and your website will be unavailable for visitors to come and visit. When you plan on promoting your website through advertisements or other methods online you need to have a strong hosting provider because the advertisement will drive a lot of people to your website and when there's too much traffic a web hosting company will not be able to handle it. There are various hosting plans that are available for you to choose from. Depending on the size of the business and the nature of the business that you are into, it is important for you to select the hosting plan accordingly. If you are not too comfortable with choosing the hosting plan on your own you can always ask an expert for advice or go online and read reviews about the plan. Remember that it is not easy to change your hosting plan once you have set it for a year so you need to take as much time as possible to decide whether or not to hosting plan that you have chosen is worth investing in or not. There are tons of cybercriminals and hackers who are always trying to break into somebody else's website and get access to it so that they can extract all the information. While most business owners believe that because they don't have a very popular website or because the business is not so large, a hacker will not be interested in this site however the truth is that hackers usually look for smaller websites because it's easier for them to hack through it without getting noticed. If you want to make sure that you do not lose any of your data, it is important for you to choose a hosting provider that provides you with a strong security system in place. There are various hosting providers available but all of them do not have a strong security setup and this means that hackers could easily include a malware into the system when this would become available on your website. The last thing you want is for people to visit your website and get affected by a malware because your website was not safe. If you end up losing all the data that was stored on your website, this means that you have to spend a lot of money on recovering the data as well as reconstructing your website from scratch. This isn't a pleasant experience and it takes a lot of time as well as money to get back on track. This is also another reason why you should always make sure that you choose a hosting provider that provides you with a backup. The backup is an easy feature that enables you to restore a website that has been hacked into or crashed without you having to invest too much time in it. It is also recommended that you make sure that when you choose a hosting provider you choose one that provides you with maximum uptime. Nothing less than 99.9% should work for you because that's exactly what most hosting providers have to offer. You also need to make sure that when they say that they are going to provide you with maximum uptime they ensure that they keep in mind the number of visitors on your website so that the speed of the website will not slow down.